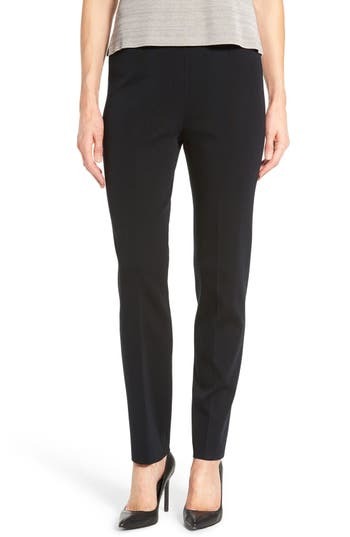 Effortless knit pants are refined with shaping darts and a wide fold-over waistband in front. Color(s): black, blossom, cane, cherry, dew blue, geranium, granite, navy, white. Brand: Ming Wang. Style Name: Ming Wang Pull-On Knit Pants. Style Number: 577121. Available in stores.